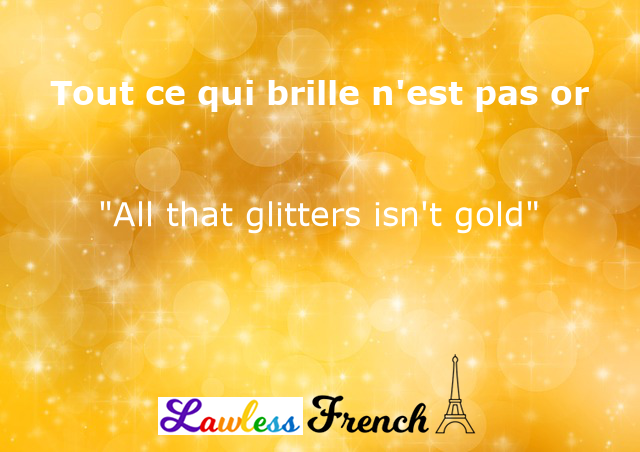 Usage notes: Tout ce qui brille n’est pas or is one of the rare French proverbs with a near-perfect English equivalent: "All that glitters isn’t gold." It’s used in both languages to indicate that something which seemed wonderful turned out to be not so great after all. J’ai déménagé après avoir entendu parler de beaucoup d’emplois ici, mais je ne peux rien trouver. Tout ce qui brille n’est pas or. I moved after hearing about lots of good jobs here, but I can’t find anything. 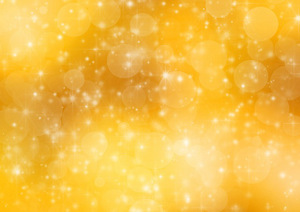 All that glitters isn’t gold. To the purist: Who, nowadays, goes around speaking Shakespearian English? People have been saying “glitters” for hundreds of years. Methinks thou dost protest too much. Pour trouver une version antérieure à la plume de Shakespeare, il faut remonter au Roman de Renart. Qui, lui-même, l’emprunte à la nuit des temps. Question: why the relative pronoun ce qui? Why not just “tout qui brille…. ? Tout is an indefinite pronoun, which means it can’t be followed by a normal relative pronoun like qui. Instead, it must be followed by an indirect relative pronoun, ce qui.